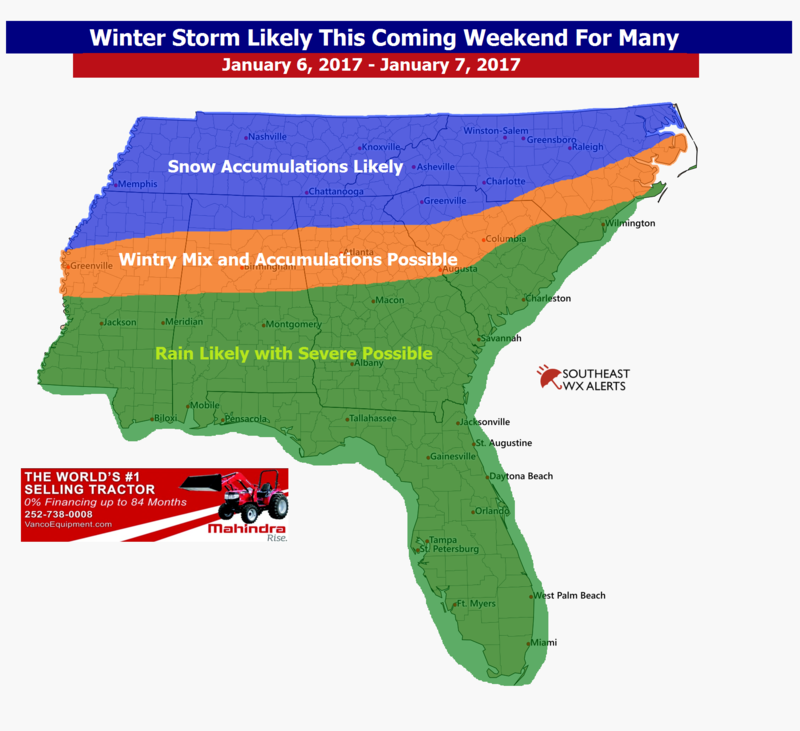 We are now tracking a winter storm that will likely affect many in the Southeast. Posted above you will see where we expect the wintry as well as severe weather to occur with this storm system. To see forecast snowfall amounts, you will need to become a member and these amounts will be sent out 1/3/2017 or today around 8pm to all members. We began tracking and alerting members about this storm system on 12/29/2016 and now it appears, we will see it come true. Become a member today and you will get not only expert discussions and accumulation maps but also advance warning before anyone else.